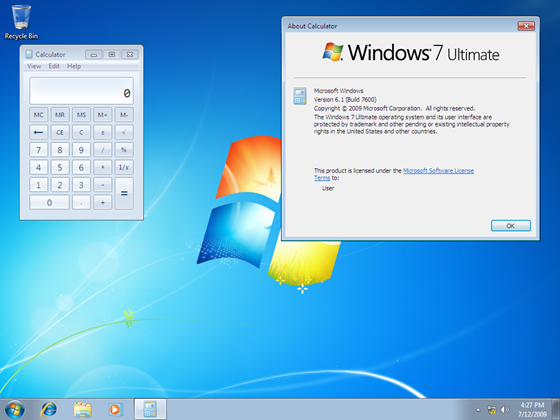 There seems to be a lot of buzz going around right now that Windows 7 has finally hit RTM. Not only that, the latest build has already been leaked onto the inter webs. The build string says that the version was compiled on July 10, 2009 -Â which seems to be on par with Microsoftâ€™s schedule. My concerns about the screenshots are that how the source activated their copy of the RTM, because the Beta and RC keys wouldnâ€™t have worked with the final version. And if they werenâ€™t able to activate it, then the leak wouldnâ€™t be of any use right now. While I wont usually post a hoax like this until I verify it myself, a lot of notable sources are now acknowledging the credibility of the rumors. The leak itself hasnâ€™t been fully uploaded yet, so I canâ€™t try it out right now. But Long Zheng was confident enough to make a minisite for it. I would share the download links once I verify the builds myself. UPDATE: Office 2010 Beta 1 has also leaked. give me the every news , links,blogs & much everything………….e.t.c.. Ran 16 queries in 0.150 seconds.